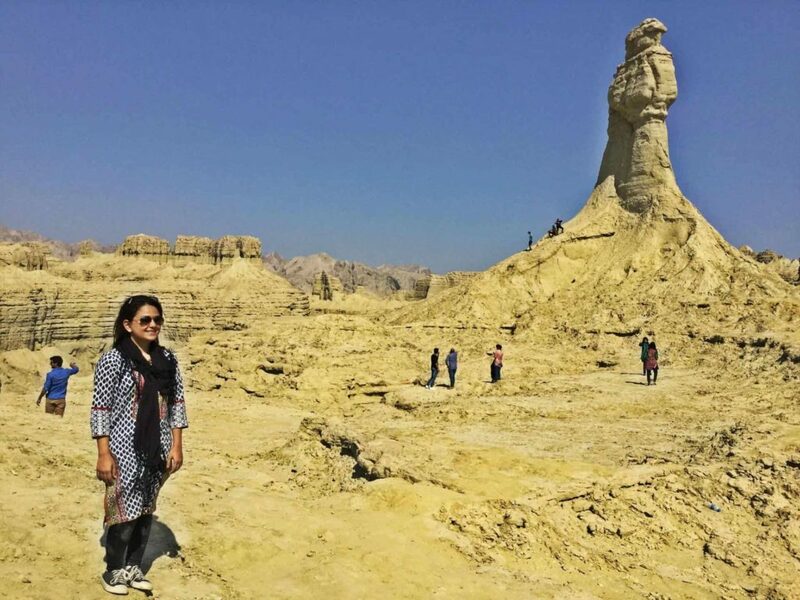 In early Dec 2015, I had the opportunity to visit Hingol National Park with Royal Tourism Pakistan. 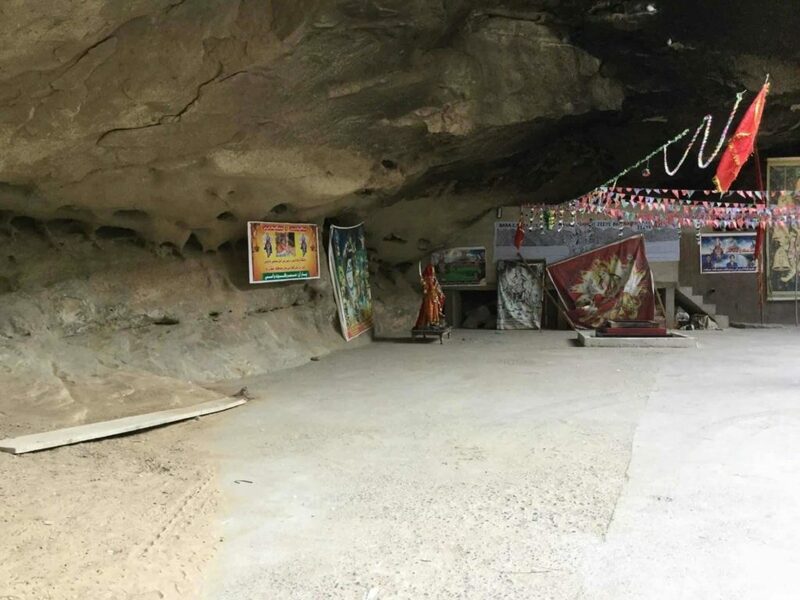 I had heard a lot about this place and had been planning to go since ages. 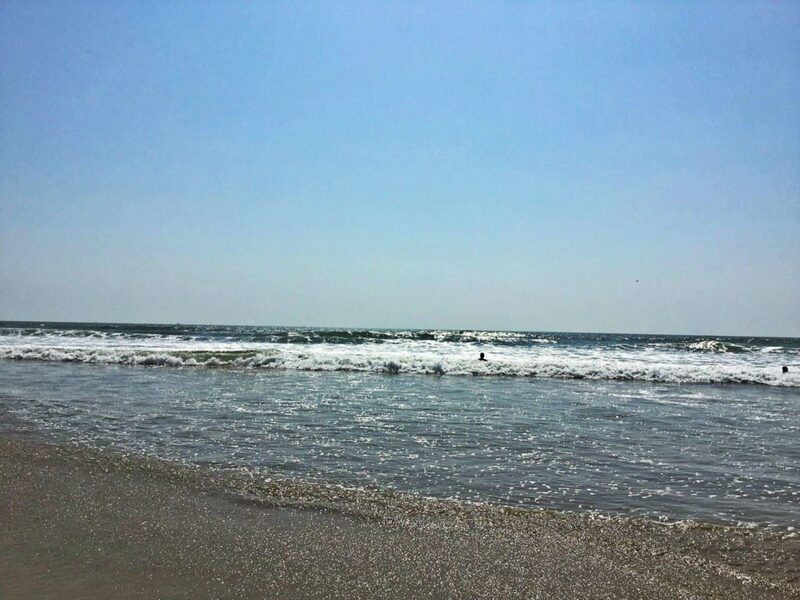 Since summer is a near impossible trip to make due to the heat- (it easily would pass the 45 degree mark! ) I finally got going when winter came around. 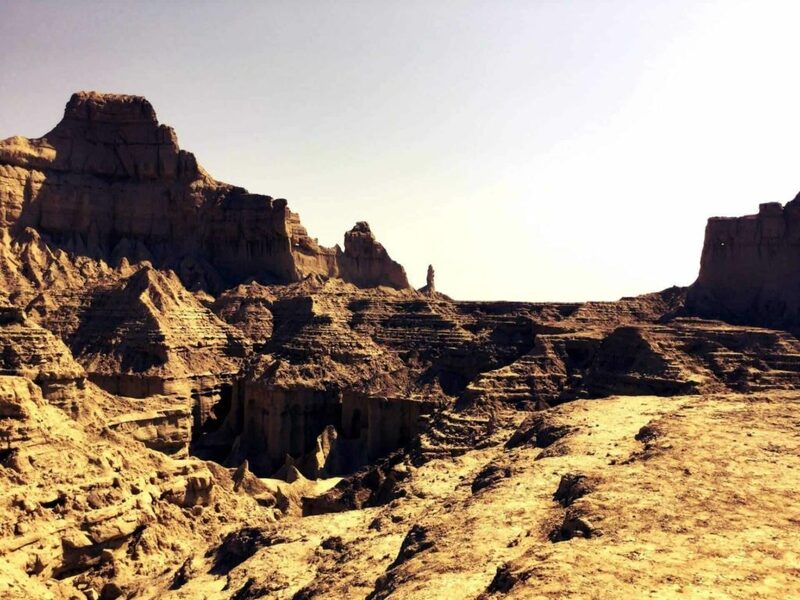 The first thing you need to know about this amazing place that contrary to its name it “park” one would expect a lot of greenery and plants and trees but instead what you see is something completely the opposite & to be honest, far more fascinating. 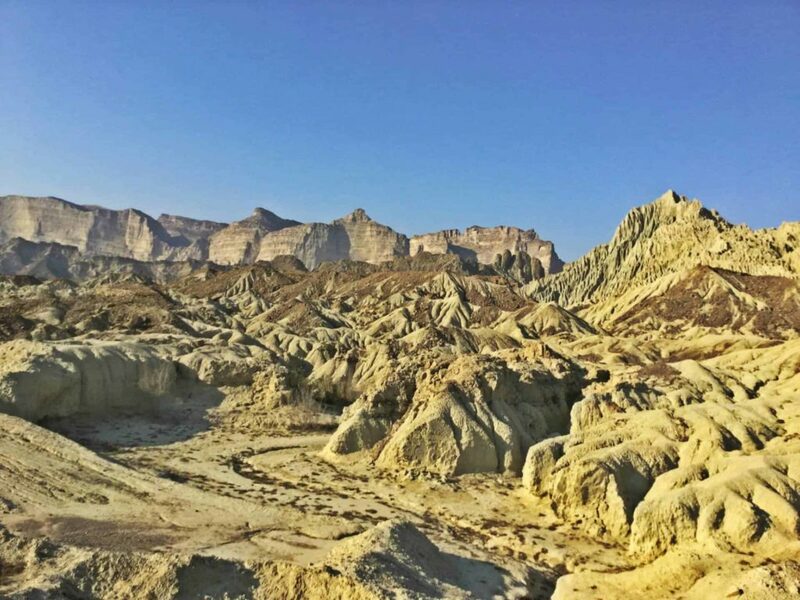 When you first enter the park you are greeted by a lovely mix of sights; you can see the Kund Malir Beach on one side, the deserted land in front and sand mountains on the other side. 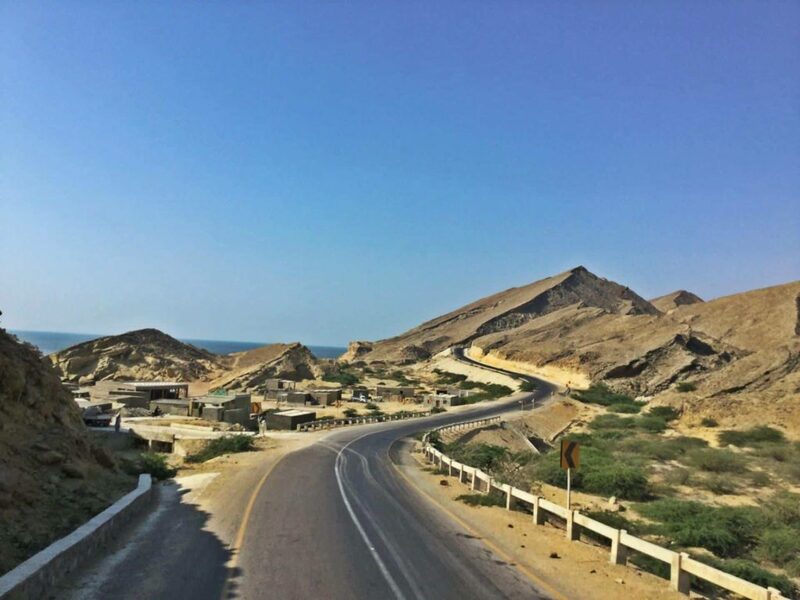 The roads here are surprisingly very well constructed so if you are travelling in a bus or a coaster, request the driver to drive slow enough so that you can actually sit atop the roof to really enjoy the scenery. The natural structures here are worth seeing too. Do note that there is a bit of an upward climb on the hills to see these closely. 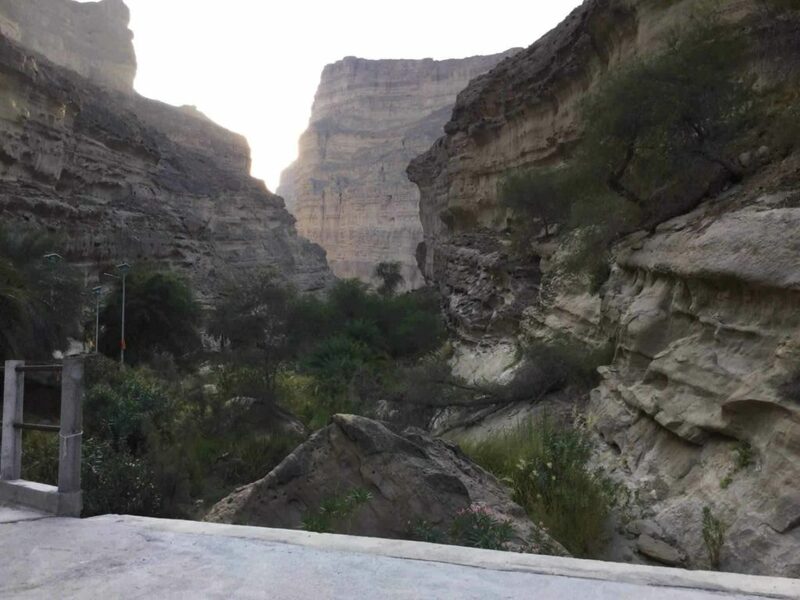 It took our group about 20-25 minutes of easy to moderate climbing to get the see the very famous “Princess of Hope” structure like you can see in the picture below. 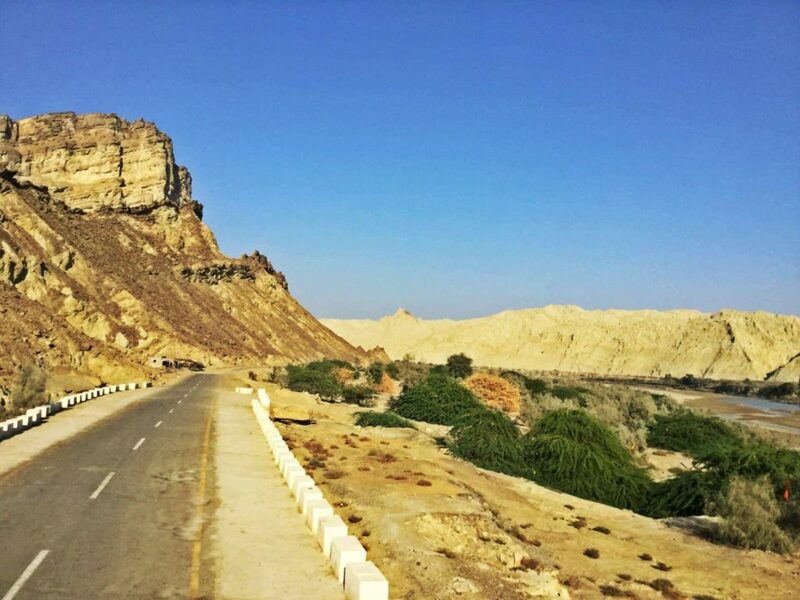 Usually after this there is a stop at the nearby Kund Malir Beach, after which you can go on to exploring the park further. 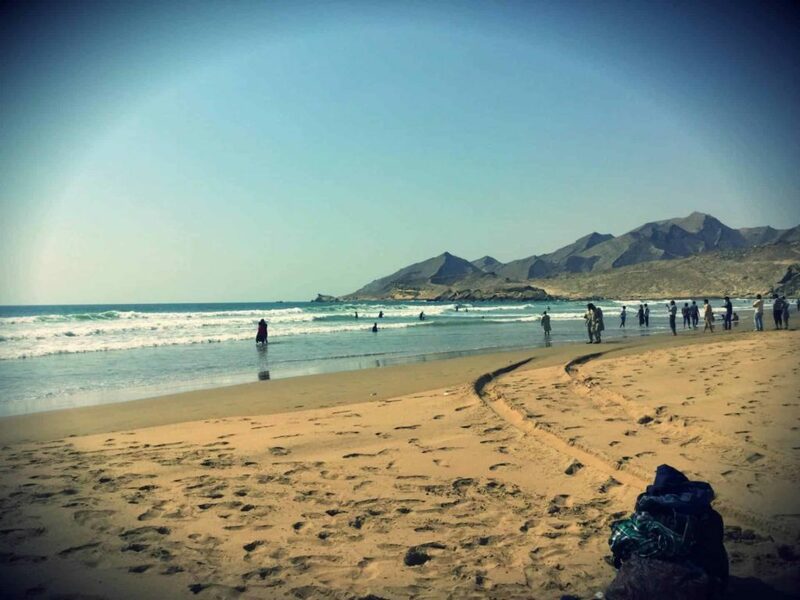 When you compare the beach the to the park, it’s a bit anti-climatic- yes, it is quieter and cleaner than the beaches we see in Karachi for sure, but nothing very exceptional – the true saving grace is the mountains one can see in the backdrop though- those totally add to the beauty of the overall scenario. 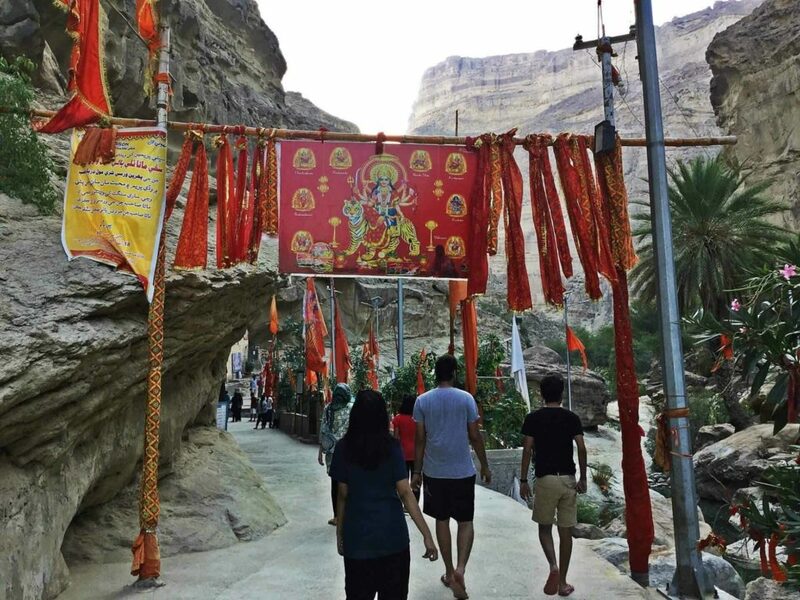 Be sure not to close your trip to Hingol Park without visiting the very sacred and famous Hindu Temple which lies hidden away in between the mountains known as “Nani Mandir”. 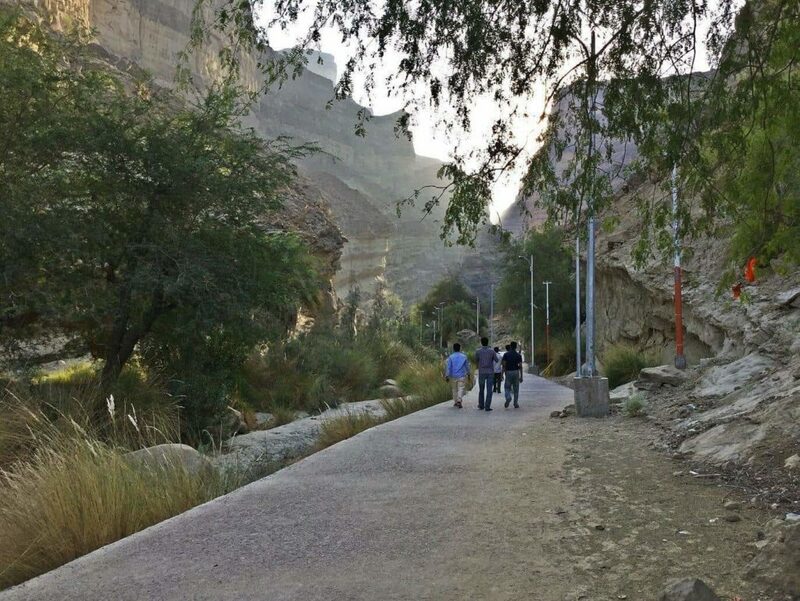 The walk toward the temple seems to cut in between the mountains itself and the walkway itself is very serene. 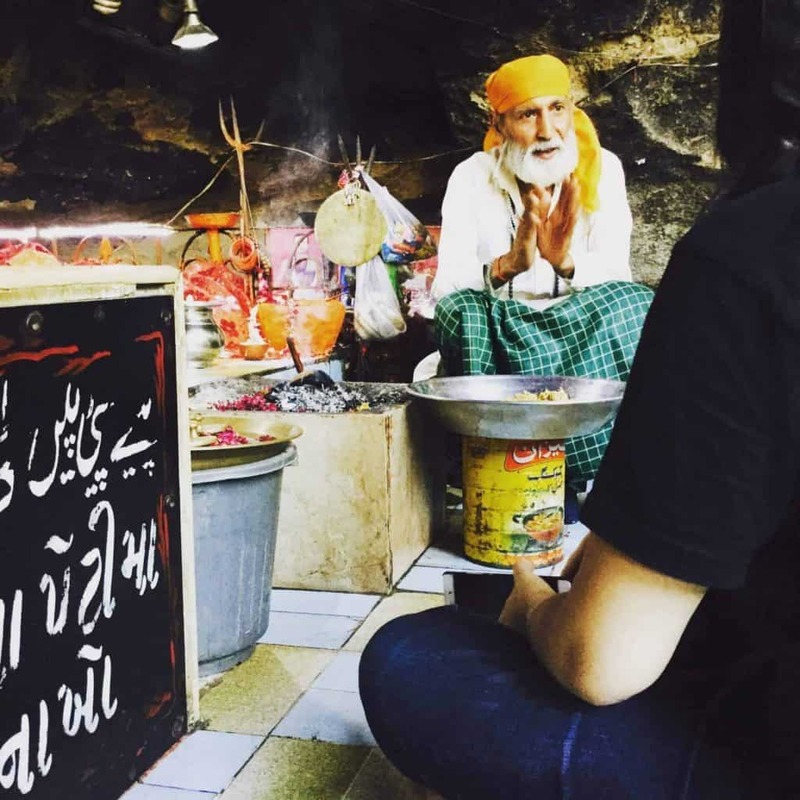 Nearing the Mandir makes you feel transported into the another time and culture altogether. We even had a chance to go inside (be respectful and remove your shoes!) 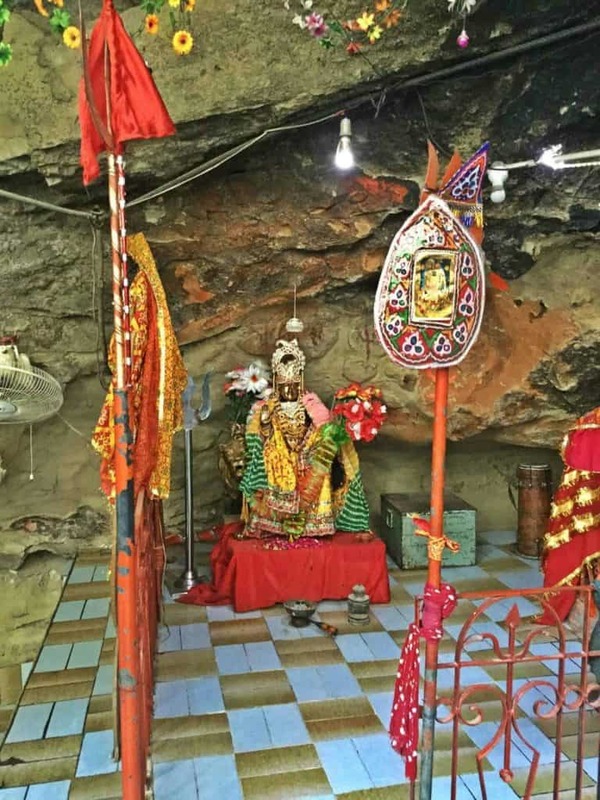 and have a chat with Hindu priest who welcomed us very cheerfully and told us tales of the history of the place. Hope you liked this piece. Do plan for it next winter. You can book tours on my official Facebook page here .